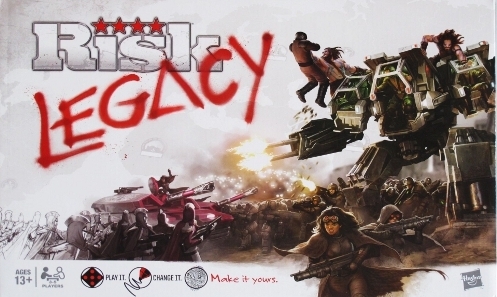 Rob Daviau Announces a New Legacy Game! Rob Daviau is the genius designer behind some of the most innovative and genre-stretching games of the last few years—including Heroscape and Risk: Legacy. Well now that Rob’s left Hasbro and branched out on his own, he’s teaming up with Plaid Hat Games to announce the newest Legacy design: Seafall. According to a report on Game Salute News, Rob Daviau, the design genius behind some of Hasbro’s best games—including Heroscape and Risk:Legacy—is leaving Hasbro next month. He’ll be starting his own board game design and consultation company called IronWall Games. We look forward to seeing what Rob has in store for us.